The outcome of following these rules is a visible productivity increase, simplification of the communication processes (time saving), increased focus and job satisfaction among the team, waste reduction an many more positives that make this system too good to ignore. 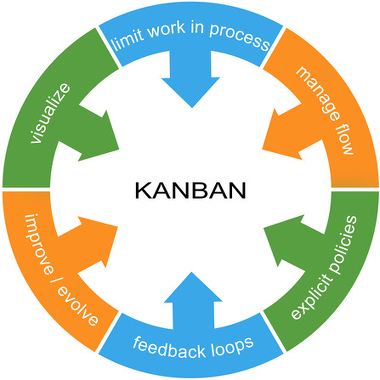 The base for any Kanban system is a work flow division into 3 categories: a backlog of work (things needed to be done in the future), a work in progress column (containing only the things that are being worked on at the moment - with applied limit) and a section for items that have been completed. Process flexibility: no restraints on how things get done - there is always room for improvement.